Helping special kids in Romblon, Philippines to develop their fullest potential. Special Educational Needs for Children-starting early is the key! Any parent with a special needs child would want the best for her kid. A caring mom would be very happy hearing her special kid speak for the first time or learn that she is able to read the ABCs and write the alphabet or her name. Even if the special son or daughter is already way above the age that they’re supposed to. A dad who is very supportive of his kid’s development would try his best to find the number one school for him or the most dedicated teacher out there. It is without question that the special educational needs for these children should be on the top priority when considering their growth and development, and of course their future. Let me present to you some information about the ongoing program in the town where I grew up and where we are giving our support. When we started Pangga ta Ikaw in 2015, Brittany, my niece, interviewed the pioneer SPED teacher, Mrs. Lulu Lo and read some materials in the school about the program. Likewise, she was able to witness how teacher Lulu spent half an hour or so teaching a visually-impaired kid. She was so amazed at how that time was spent by the teacher in guiding the special child. Brittany wrote a very nice article then about the program and her experiences, which I posted in our Facebook page. 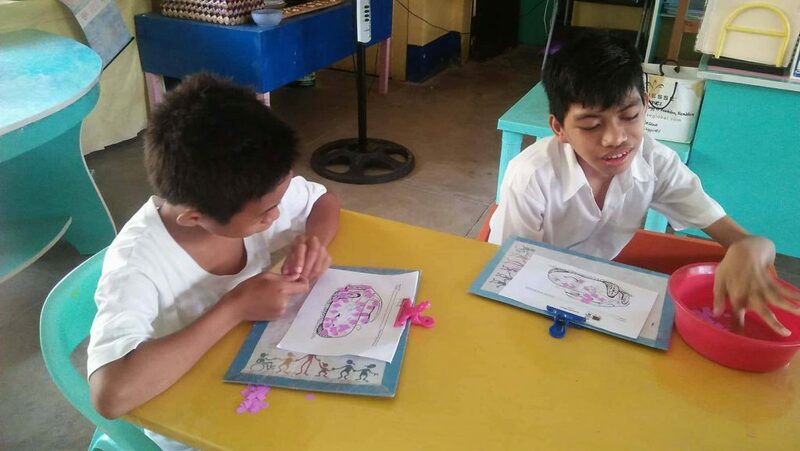 Romblon East Central School’s ( RECS ) Special Education (SPED) Program is dedicated to supporting Romblomanons of different ages with special needs through the development of necessary social, academic and livelihood skills. The establishment of SPED was supposed to start in the 1990’s, but unfortunately didn’t push through due to lack of resources. 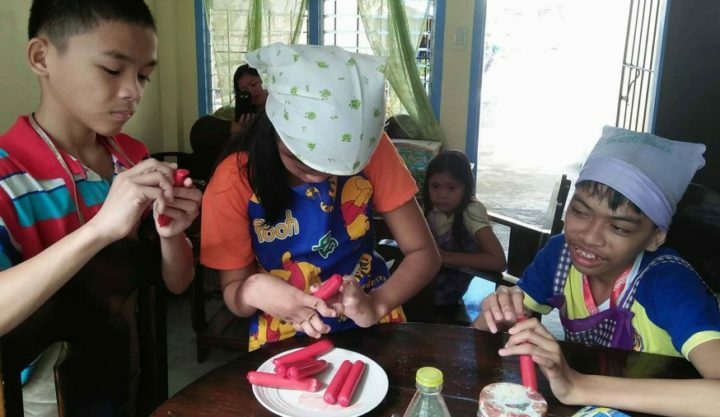 It was only in the year 2003 when RECS – SPED was fully established, with Mrs. Lulu Marzonia-Lo, a trained visual impairment educator who humbly taught SPED classes starting with only 5 children from different barangays around the municipality. In the program, handling just one student is equivalent to a teacher-student ratio of 1:10 when compared to regular, non-SPED classes thus the maximum number per SPED class required by the Department of Education should only be 4 students. However, due to growing public awareness about the advantages of the program, 3 Philippine Normal University trained teachers are now catering a total of 23 students having special disabilities such as ADHD, HI (hearing disabilities), autism, blindness and Down Syndrome to name a few. Considering the variety of disability areas, the program’s curriculum is specially crafted around these to ensure high quality special education. While most of their students are taught as a class, some of them are given special, individualized 30-minute lessons where they are taught hand coordination, mobility and space familiarization one on one. On the other hand, 4 transitional students of ages 20 years and above are taught how to do haircuts, prepare the dining table, cook and sell what they made at the RECS canteen for them to earn additional income and consequently, become more independent individuals in the future. With only a few years under their belt, the program is still very much in the development stage. Thriving only on minimal government subsidy and a few private donations, financial constraints hinder both the teaching staff and the families of these special children to deliver the best possible education there is for these children. And because parents tend not to send their kids to school due to lack of resources, there was even a time when Mrs. Lo had to sponsor the transportation allowance and let five of her SPED students from the barrios to live in her apartment for them to be able to go to school. This is where our help comes in. 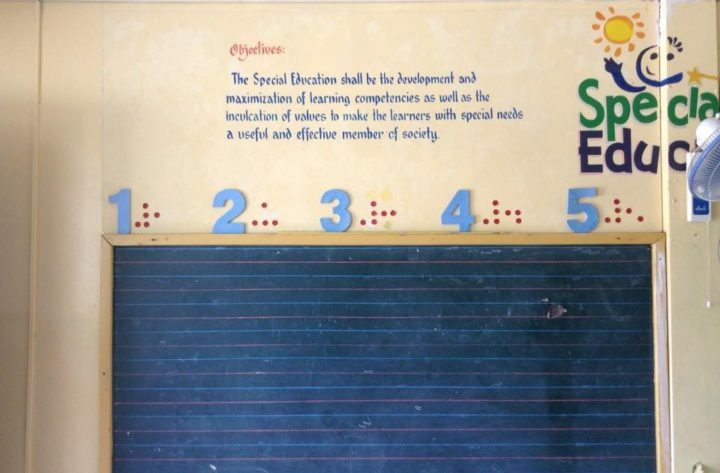 We need you to help enable Romblon East Central School’s Special Education Program continue their legacy of providing the very best, and only the best special education for the students and their families. A very touching article and very informative as well. This was written three years ago and the program has expanded tremendously. From an initial enrolment of five ( all visually impaired ) in 2003, each year enrolment adds up. Last year in 2017 they enrolled 27 special kids under 3 Special Education teachers. Of course not counting the ones who have been mainstreamed in the regular classes. These kids included 5 with Down syndrome, 5 with autism, 4 with hearing impairment, 1 with visual impairment , 10 with intellectual disability, and 2 with behavior and emotional problems. So, why do special kids have to be enrolled in Special Education programs? As parents or caregivers , what are your goals for your kids? Do you want them to gain knowledge as fast as they can or would you want your kid to become independent and productive someday? I’m sure you always want the best for your kids by providing them with special education suited to their capabilities and to let them start as early as possible. It goes without saying that the mentors only want the special kids to develop the best that they can be, to develop their fullest potential and for them to learn values and traits such that they become productive, independent citizens. I have so much respect and admiration to these teachers who are so passionate in guiding and encouraging these children with special needs. They must have lots of patience and love for their craft that they are able to fulfill their roles so well. I’m sure the parents of these kids echo my high regard for their kids’ mentors as well. Various interventions are implemented in the program with the objective of teaching the kids basic skills like fine and gross motor skills, depending on where the level of the kids are when they start school. 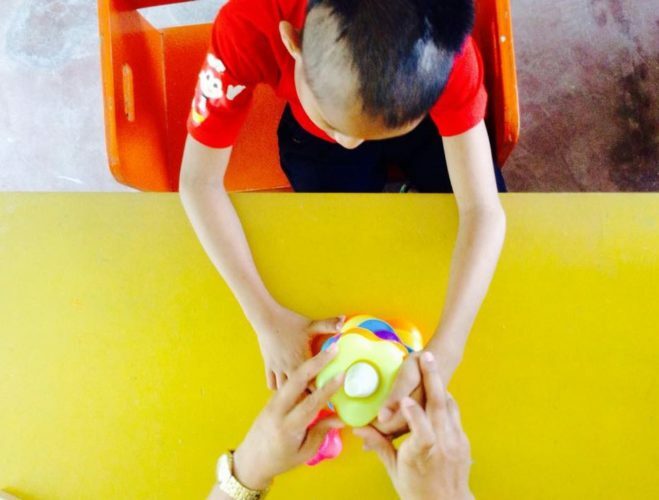 Activities are usually made fun to promote learning, like using toys and letting them do art activities. 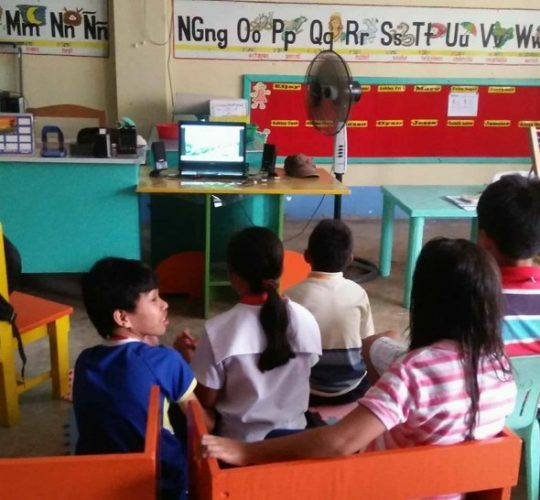 Film viewing could be done as a group activity where children can enjoy as well as learn the moral lesson of the story or add to their vocabulary. Likewise, interventions involve skill-building strategies that are designed to progress special children to advance their academic knowledge. More often, one-on-one is introduced because these kids need special attention and their attention span is very limited. 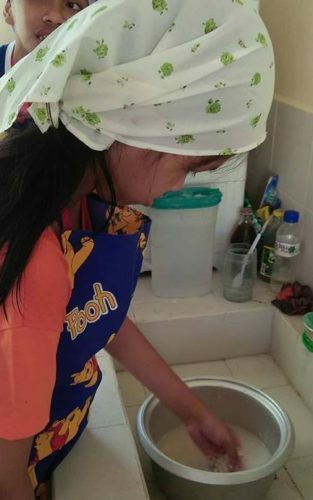 Daily living skills, like cooking or cleaning , are likewise implemented for older kids to prepare them to become independent and productive as they age. The children of course are able to learn at their own pace; no two children are alike. Several factors are into play, most especially their mental development, their readiness to learn and the parents’ support. And the most important thing? Start the kids early! The special children at the SPED-RECS are mainstreamed to grade one once they are able to read, can do simple math and no longer hyperactive. The SPED teacher sits in with them in the regular class for two weeks until they are comfortable in their new classes. They are also being followed up regularly as to their progress. Many times because of their disabilities, these kids are bullied by the normal kids. This is another challenge that these kids have to face. Of course with the support of teachers and their parents they can overcome these obstacles eventually. It is so heartwarming to learn that a lot of the special children who have started at the SPED-RECS are able to continue and be successful in their studies. Success stories… where are they now? Mark, my nephew who has Down syndrome is now 9 years old but still unable to talk, he only has some babbling sounds when he complains . He started the SPED program two years ago. Initially, he had very limited attention span. He couldn’t sit still, but now he listens to his teacher 30-45 minutes at a time. He can now hold manipulatives and can sort geometric shapes but with maximum assistance. He is able to listen to short stories as well. Teacher Bing, his very patient mentor, hopes he learns to hold crayons and pencils soon for him to be able to scribble and doodle. Chloe, who is hearing-impaired, just finished Grade 9 ( Special program in Arts ) with honors. She was started in a regular Kindergarten school and the teacher observed that she was probably deaf and mute because she never talked. After 2 years in regular school, she was moved to the SPED program at the age of eight. Soon after, the teacher heard her talk for the first time when she was bullied by a classmate. She was stammering and talking in phrases. Started on one-on-one lessons, she eventually learned to read and talk in sentences. After two years, she was mainstreamed to Grade one and the rest is history. She has also a special talent in drawing thus, Chloe was a consistent contestant in sci-art competitions in school. She is a graceful folk dancer as well. CJ is another hearing impaired kid who started the SPED program early at 6 years old. With constant mentoring, he learned the sign language and was able to talk. After 3 years in SPED, and after learning to read and write, he was mainstreamed to regular school and continued, until recently, he just finished grade 9. He is a good dancer as well. Although able to talk already, he still uses sign language at times, to express himself fully. Truly, we cannot ignore how vital Special Education is for our special children. Early intervention is the key to maximize their learning capabilities. We have seen that they can excel in school if properly guided in the beginning. They may start late with learning their basic skills like reading and writing, but once they are able, there’s no stopping them to succeed. Do you have a child with special needs and is presently enrolled in a special education program ? Please share with us how he is doing in school. Leave your comments below. "We have an advertising relationship with the stores we link to in this post. Think of it like a tip for bringing you awesome content. Prices won't be affected at all." Wonderfully written and informative. It’s also interesting to learn how different countries handle the same situations. The more information and stories printed help special people more than most realize.As they have always said information is power. I really appreciate you giving positive comments. The SPED program in our town is the only one in that place of less than 50,000 people. Government subsidy cannot provide everything that the program needs to excel so private donations are really needed. And yes, my primary objective why I put up this website is for everyone to be aware that children with special needs are everywhere and need our love and support. Very well written, informative and keeps the attention of the reader. You keep it simple but direct and easy to understand. Your care and compassion shows through in your writing style. Are you going to have a donation “action button”? Or how are you planning monetary input?Or are you just providing information? I’ll keep checking back from time to time. I’m a retired Special Ed. teacher in New Hampshire USA. Thanks for the nice and inspiring comments.I do really have a soft spot for special kids having a sister ( who passed away already ) and 2 nephews with Down syndrome, a brother with mental retardation and another special niece. I introduced our latest project in my post here https://panggataikaw.com/indoor-play-area-where-kids-will-romp-and-laugh with the donation page at https://www.gofundme.com/minitherapy-room-for-special-kids ( mentioned in that post and if you click it, it will open the link in another window ). I’m just starting this website and still figuring out a lot of things. Wow, I’m happy to know another Special Ed teacher who I’m sure has been so passionate in mentoring the special kids in her school. I’m actually in the works to publish another post about the SPED teachers in my hometown. Maybe I can interview you also for more content and insight on Special Education? I also believe that children with special needs should have early assistance as much as possible. For example, I have a friend who has an autistic child. He is very smart. He actually knows how to unlock complex puzzles his father brought for him even though he was only two years old. However, communication with other people is his weakness. Individual attention is needed before he can be compatible with society. I also have a cousin that has special educational needs. My aunt has been trying her best to train him to sing, speak. He’s currently forty something years of age, but he can finally speak and form logical conversations. If my aunt started earlier with a program, the results would’ve most likely come faster. What do you think? Yes, early intervention is really important with regards to therapies for special kids and this includes special education program. As well, early diagnosis should not be overlooked, followed by early interventions, to maximize their potentials. There are behavioral programs for autistic kids and other special kids that when started early will enable the kids to catch up on their speech and communication abilities right away. Well done to you and your team for highlighting this important work. Everybody deserves the best start in life so that they can be the best that they can be. In my country we call “special people” people with disabilities. The emphasis is that they are people first and they need to be love, respected and nurtured as such. Well done for doing all that you are doing and for making a real difference in everyone’s lives. Definitely everyone, including people with special needs deserve the care and support of the community for them to reach their fullest potential. Marita on Is music therapeutic? Know the benefits for your child with special needs. icb50 on Is music therapeutic? Know the benefits for your child with special needs. Anthony Little on Is music therapeutic? Know the benefits for your child with special needs.